This Wet n Wild lipstick was part of the haul I featured about several weeks ago. Somehow, I forgot about it and just rediscovered it last week when I was organizing my makeup. This one is Wet n Wild Mega Last Lip Color in Think Pink (901B). As you all know, these are my favorites - I have a never-ending love affair with these Wet n Wild lipsticks. 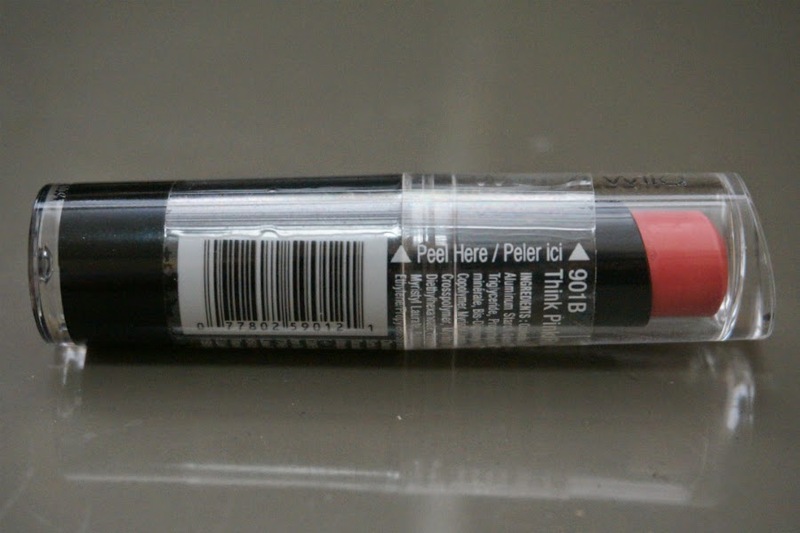 Wet n Wild Mega Last Lip Color in Think Pink (901B) can be described as a light/medium dirty pink with slight blue undertones. 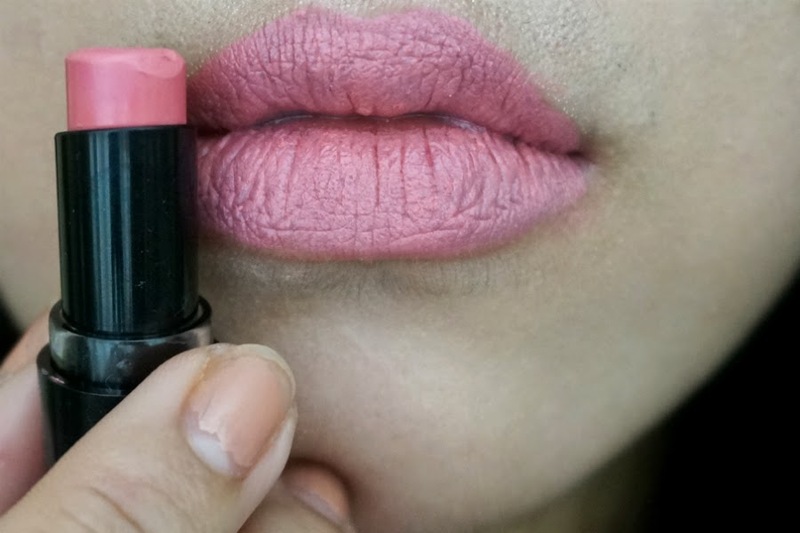 Like previous Wet n Wild Mega Last lipsticks I've reviewed, this one also has a semi-matte finish. Pink lovers would appreciate how pretty this color is. 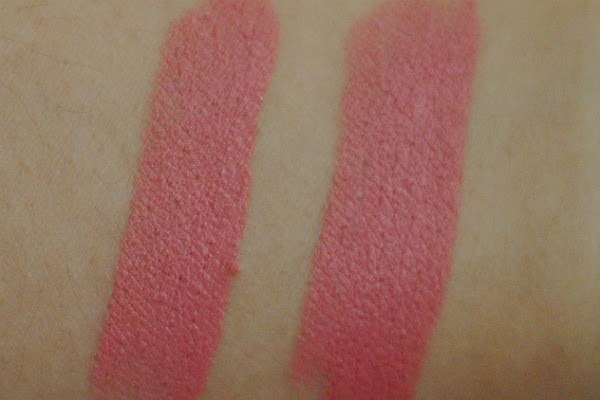 When I saw how it looked swatched in my arm, I though that I may have a lipstick with a similar color stashed somewhere. 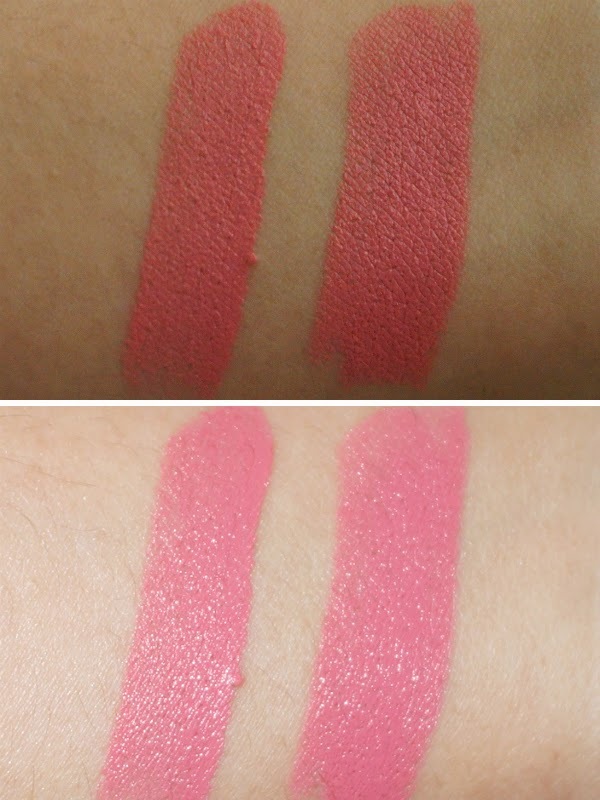 I found NYX SML in Istanbul (warmer, but pretty close) and Ever Bilena Off Beat Pink (very similar, the color is "thisclose") to be in the same spectrum. *I'm thinking of doing swatches of all my lipsticks, grouped according to shade soon, stay tuned for that. The color swatched true when applied on my lips. The pink is neutral enough for a wide range of skin tones to pull off. However, girls with skin tones darker than NC 40 should be wary as this can turn out to be a bit pale on them. 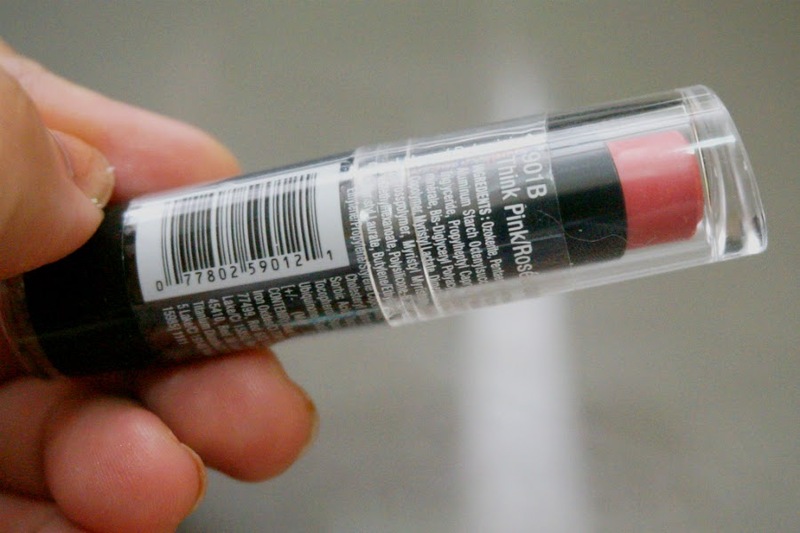 Think Pink (901B) is a light color but it applied very pigmented and opaque. 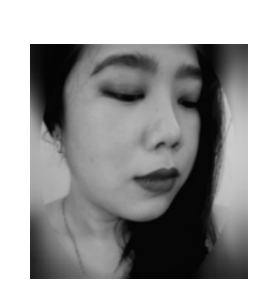 It covered my lips with just one swipe. 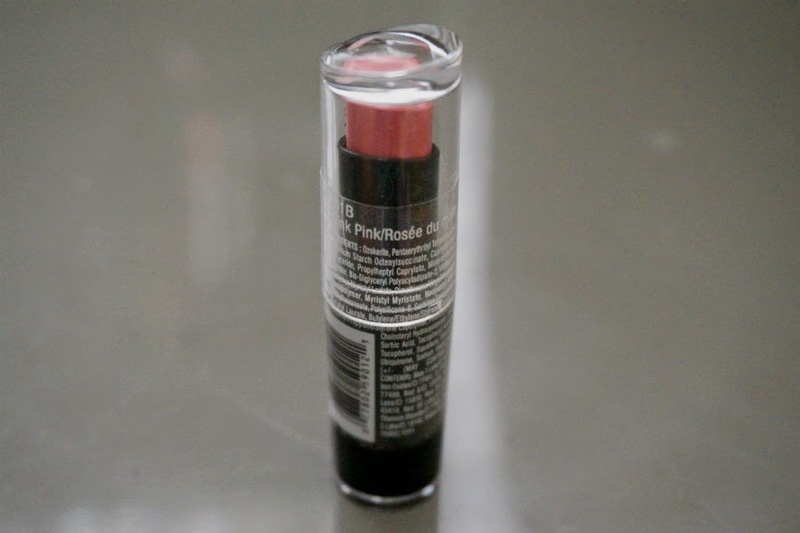 Application is smooth and creamy but note that I have applied a lip balm before to ensure that my lips are moisturized. No patches or flaking can be seen, despite me having very dry lips, thanks to the cold weather. Wear time is good, with up to 4 hours with some light meal. This doesn't bleed or feather over time, so it's basically low maintenance. 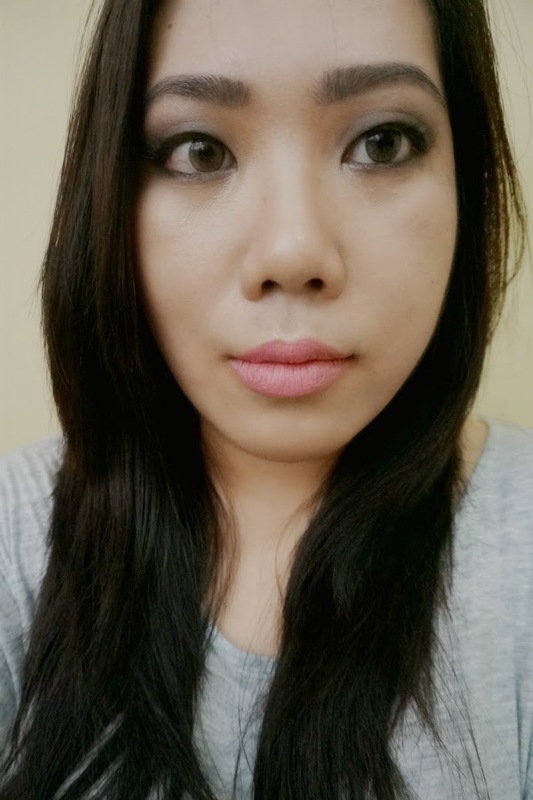 Overall: Wet n Wild Mega Last Lip Color in Think Pink (901B) follows the footsteps of its other siblings. It's a medium pink color that can serve as a great everyday pink for light to medium toned girls. This applied creamy and smooth despite its semi-matte formula. The color is very opaque with no observable patchiness or flaking. People who prefer some moisturization would need to wear a balm underneath or a gloss over it. Check out my reviews of other Wet n Wild Mega Last Lipsticks: Sugar Plum Fairy, Stoplight Red, Cherry Picking, Cherry Bomb, 24 Carrot Gold, Just Peachy, In the Flesh, Bare It All, Coraline, Sweet Cream, and Bordeaux Boulevard.